Our day started inauspiciously with an unfortunately placed iceberg. Said iceberg was caught on a sandbar exactly in the middle of the entrance to Tracy Arm Fjord, blocking our entrance. 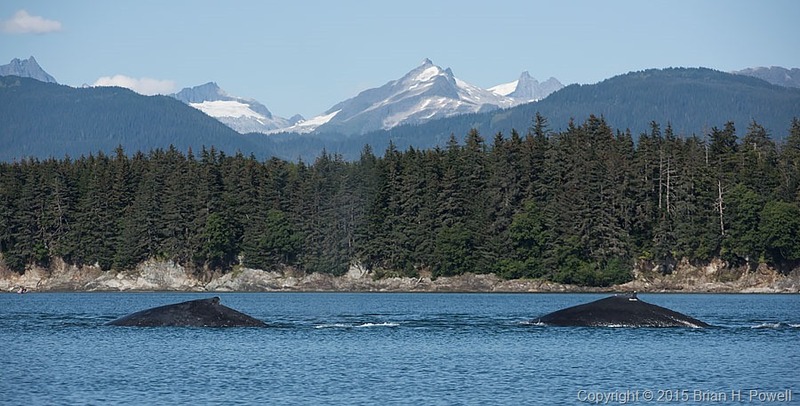 Unable to get into the fjord to see more icebergs, we proceeded onto Juneau. 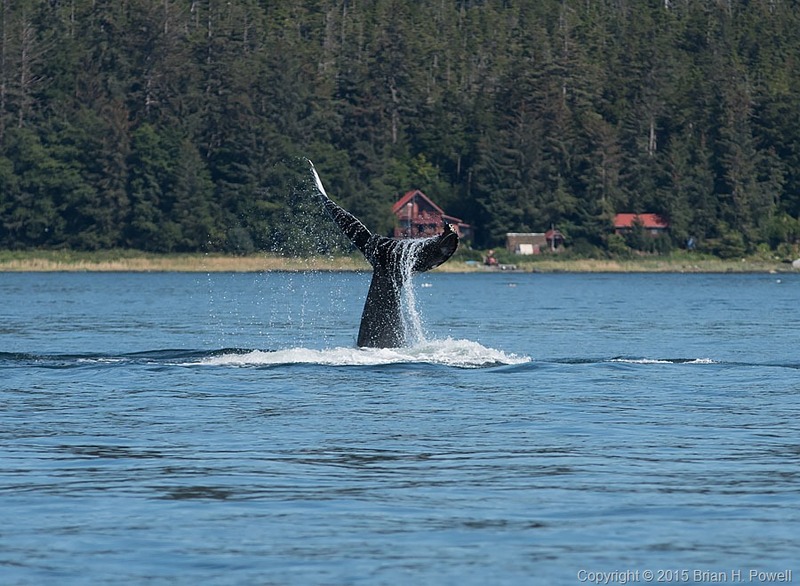 In Juneau, we went whale watching with Gastineau Guiding Company, with Captain Jen and photographer Andy Davidson. Captain Jen’s excitement about the whale activity was contagious. She did a great job of positioning our boat for photography, and Andy did a great job of inspiring us with our photography. 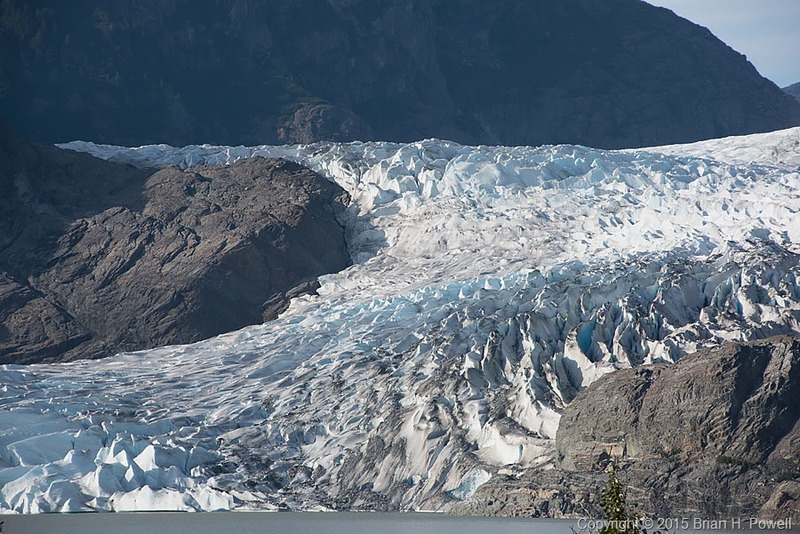 After returning to shore, we went to Mendenhall Glacier, one of the more famous glaciers only a few miles from Juneau. It’s about 13 miles long and ends in Mendenhall Lake. There are a few markers showing the historic locations of the edge of the ice. This glacier has been retreating for centuries. 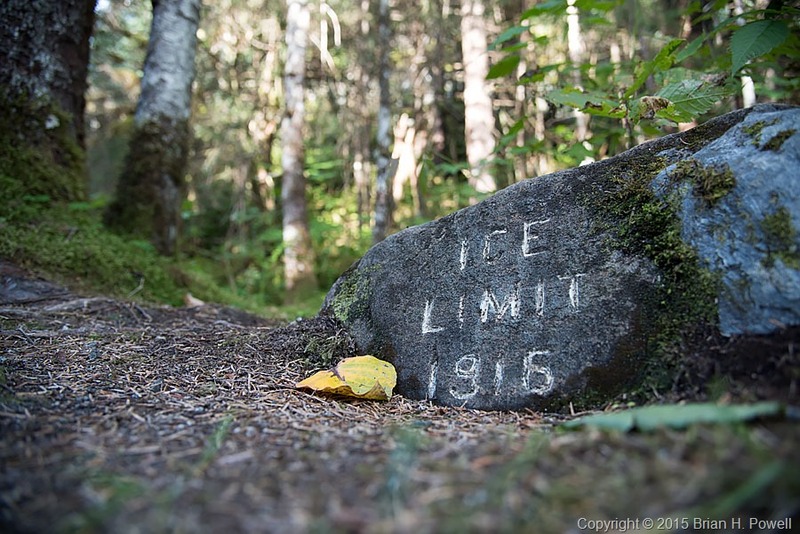 This marker is well over a mile from the current ice limit. More tomorrow, if connectivity allows. Thanks for reading. I went to Vancouver, British Columbia, in late June to give some presentations to customers. One of my co-workers, Chris, joined me for part of this trip. Chris had arranged for us to do some whale watching, leaving from Steveston, south of Vancouver. 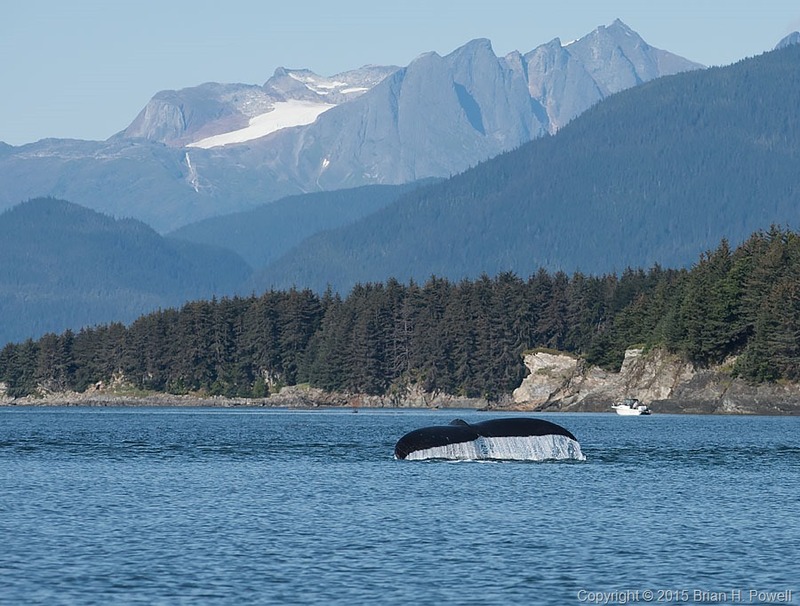 The whales hang out down near the San Juan Islands, so much of the 3 to 5-hour trip is the transit of the Strait of Georgia and passing among the Gulf Islands off the eastern coast of Vancouver Island. We did, in fact, get to see whales, but we weren’t as close as either Chris or I expected us to be. It was still enjoyable. When we got back to Steveston, we ate lunch and wandered around town a little. Chris found us the right bus to take us back to our hotel, and we planned our next adventure, the Richmond Nature Park. This park, which sounded more interesting than it was, was a few kilometers walk from our hotel. At least it gave us something healthy to do. Friday morning, we checked out of the hotel. Chris returned to Austin, and I rented a car and drove up to Whistler. Vancouver, Whistler, and the roads in between are undergoing a lot of construction to prepare for the 2010 Olympics. For lunch, I stopped in Squamish, a town about halfway between Vancouver and Whistler in terms of both location and size. There are numerous provincial parks, and I stopped at a few. Here is Nairn Falls. This image is stitched together from 17 different wide angle shots. On Saturday afternoon, I returned to Vancouver and stayed at a very nice hotel downtown, looking out over the harbour. I watched the cruise ships and seaplanes come and go. Sunday was Canada Day (celebrated much like July 4 in the US), and I wanted to find something interesting to do Sunday morning before I returned to Austin. I didn’t have enough time for a seaplane tour. It didn’t look like there was going to be a parade. So instead, I got up early and did the Vancouver 10K Run for Canada. What better way to see a city than to run through it? Besides getting a running shirt, I also got the most awesome finishers’ medal. After the run, I walked back to my hotel, showered, and drove to the airport. In Vancouver, you clear US Customs before you leave. After you check in at the airline counter, you join a really long line that winds through the duty free shop and then on to the US Customs agents. This simplifies your experience at your US arrival location.